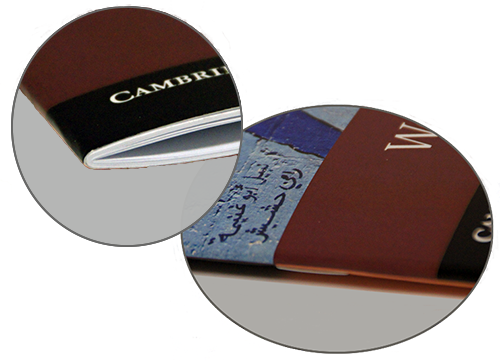 This binding style is suitable for a relatively small book where there are no more than 52 pages. The book is held together with the use of staples in the spine of the book. 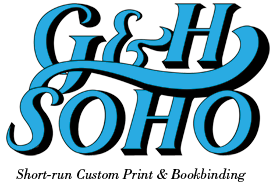 The cover is generally printed in color with a film lamination. Generally used for pamphlets, manuals, small catalogs, etc. The books are available from 5 1/2 x 8 1/2 up to 8 1/2 x 11 portrait.